Sonic is fast. We don’t need to tell you that though. You’ve probably played the original Sonic the Hedgehog games from the Sega Genesis. You’ve controlled Sonic to victory every time. You’ve beaten Dr. Robotnik more times than you can count. You’re also the ring master. You can collect every ring in a zone without breaking a sweat. 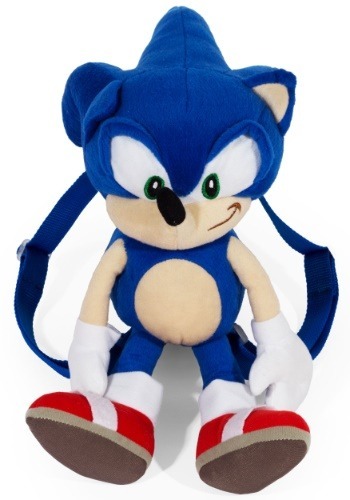 Sonic owes you a pretty substantial debt if you think about it! Well, now he’s here to pay you back for helping him clear every zone. Now, with this Sonic the Hedgehog plush backpack, he can help you out for a change! 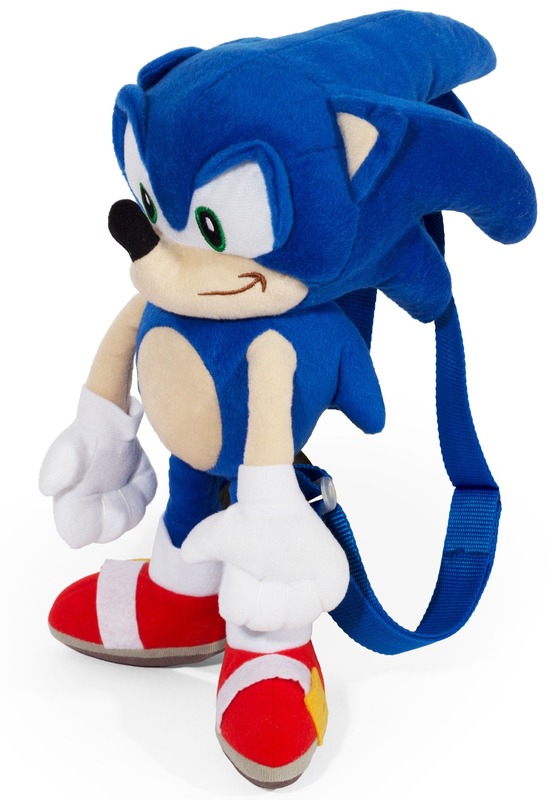 This Sonic backpack is 18 inches tall and is shaped like the little blue speedster from the video game series. He has his bright eyes and some wicked looking spikes on the back! Don’t worry though—they’re ultra-soft! He also has his adorable red little shoes to finish off the look. The adjustable shoulder straps make him easy to carry with you anywhere and the small compartment in back lets you carry a few of your essentials with you wherever you go. 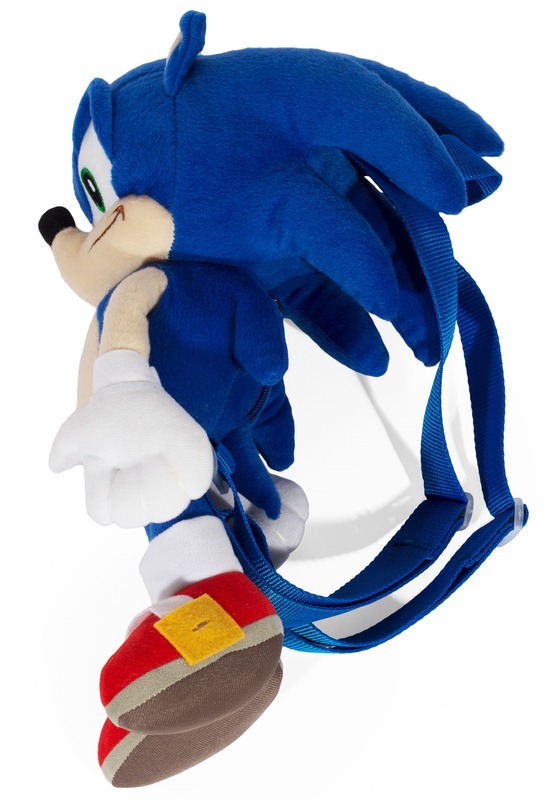 Perfect for cosplay conventions and video game themed costumes, this unconventional backpack should put the finishing touch on your look.